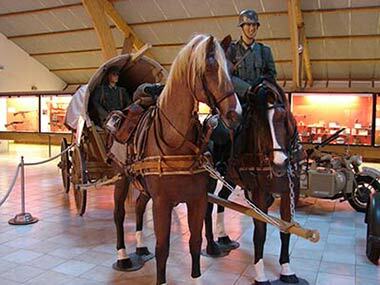 This is the horse and not the Panzer picture of the German army was determined during the Second World War. 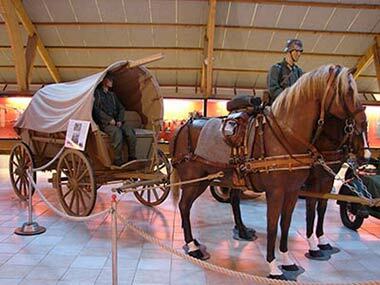 Over 2.5 million horses served in the Wehrmacht between 1939 and 1945. More than 85% of the army , mostly infantry divisions have used chevaux. Statistically there were three soldiers for a horse . The Feldwagen thus presented is type40 ( 40 Ersatzfeldwagen abbreviated as Erfa 40). This type of truck was produced from 1940. This is a less expensive model , lighter and simpler than the " HF.1 Leichte Feldwagen " and " Stahlfeldwagen HF.7 " ( all-steel truck ) . The HF.1 guy had its origins in the First World War and its construction was more complicated than Erfa 40. In the 30s , the HF.7 Stahlfeldwagen was intended to replace the HF.1 . But it was too heavy. 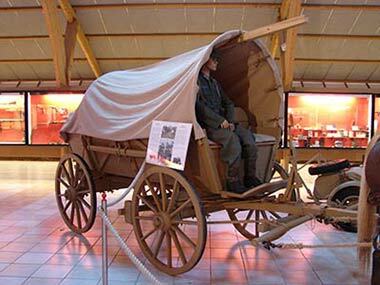 It was called the " horse -breaking " In addition, steel carts cost more to build, where the return to the manufacture of wooden carts . In 1944, 15,000 Feldwagen Type 40 were produced. 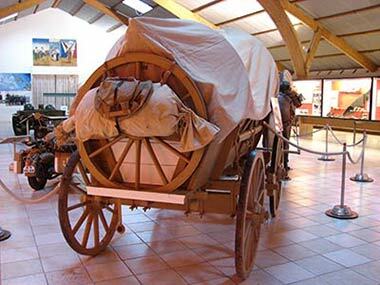 The Erfa 40 was towed by two or four horses and had a load capacity of one ton .